Capacitors are made in hundreds of sizes and types. Several of these will be discussed in the following section. Fixed paper capacitors are made of layers of tinfoil. The dielectric is made of waxed paper. Wires extending from the ends connect to the foil plates. The assembly is tightly rolled into a cylinder and sealed with special compounds. Some capacitors are enclosed in plastic for rigidity. These capacitors can withstand severe heat, moisture, and shock. Rectangular oil filled capacitors are hermetically sealed in metal cans. They are oil filled and have very high insulation resistance. This type of capacitor is used in power supplies of radio transmitters and other electronic equipment. 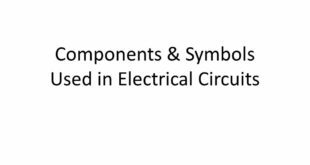 Can type electrolytic capacitors use different methods of plate construction. 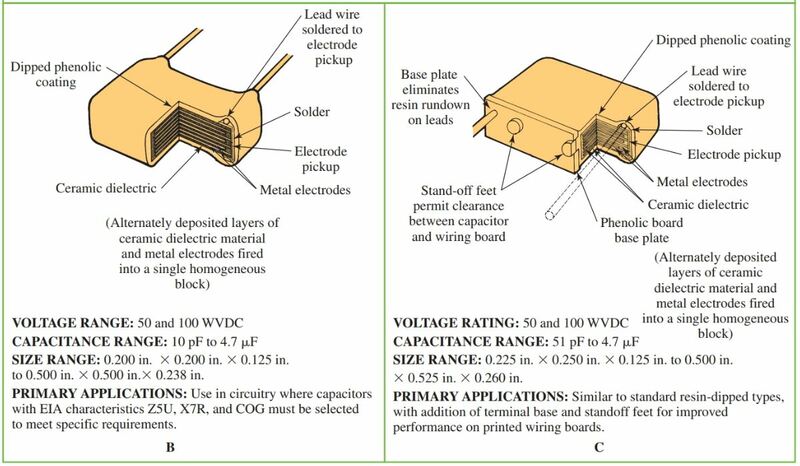 Figure 1 shows in detail how three separate can type electrolytic capacitors are put together. Figure 2 shows several of the single-ended capacitors. Figure 1. 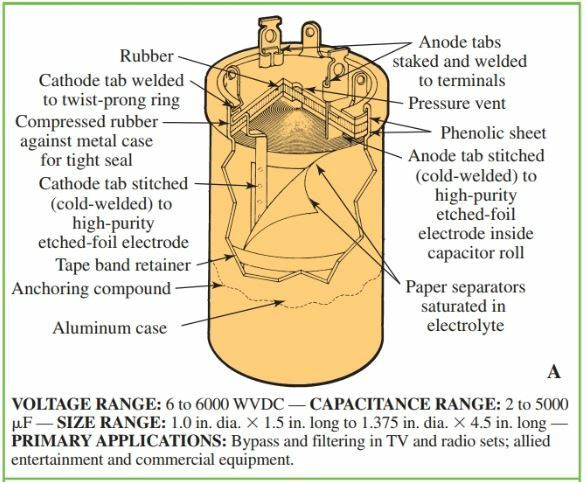 This chart shows a number of can type electrolytic capacitors, along with their voltage ratings and common uses. Some capacitors have aluminum plates and a wet or dry electrolyte of borax or carbonate. A dc voltage is applied during manufacturing. Electrolytic action creates a thin layer of aluminum oxide that deposits on the positive plate. This coating insulates the plate from the electrolyte. The negative plate is connected to the electrolyte. The electrolyte and positive plates form the capacitor. These capacitors are useful when a large amount of capacity is needed in a small space. The polarity of these capacitors is very important. A reverse connection can destroy them. The cans may contain from one to four different capacitors. The metal can is usually the common negative terminal for all the capacitors. A special metal and fiber mounting plate are supplied for easy installation on a chassis. 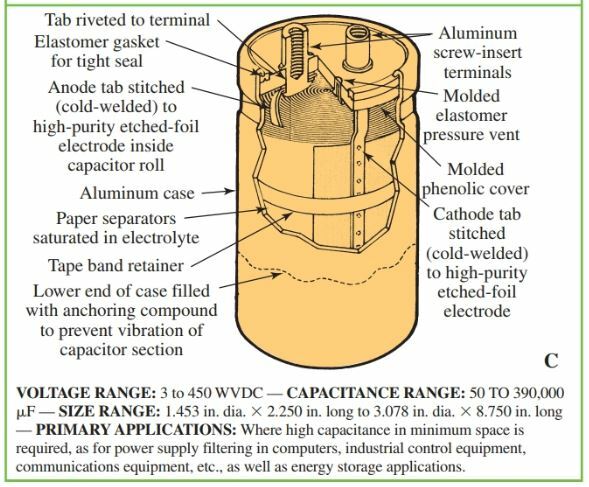 Tubular electrolytic capacitor, Figure 3, construction is similar to the can type, Figure 4. The main advantage of these tubular capacitors is their smaller size. Figure 3. 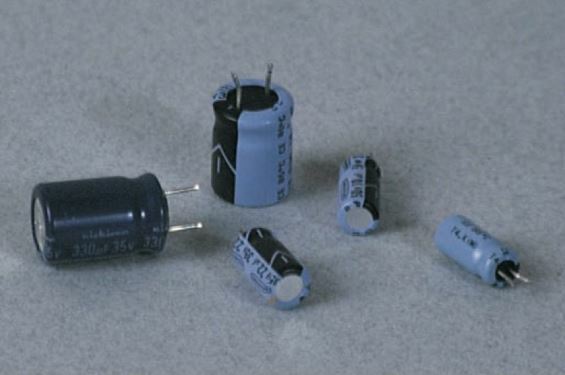 Tubular electrolytic capacitors. Figure 4. Tubular electrolytic capacitor. They have a metal case enclosed in an insulating tube. They are also made with two, three, or four units in one cylinder. A very popular small capacitor used a great deal in radio and TV work is the ceramic capacitor, Figures 5 and 6. 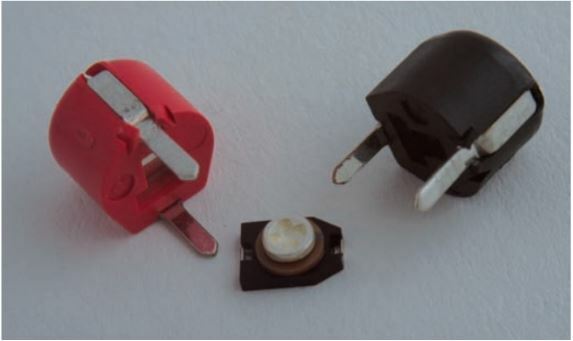 The ceramic capacitor is made of a special ceramic dielectric. The silver plates of the capacitor are fixed on the dielectric. The entire component is treated with special insulation that can withstand heat and moisture. Mica capacitors are small capacitors. They are made by stacking tinfoil plates together with thin sheets of mica as the dielectric. The assembly is then molded into a plastic case. Figure 5. 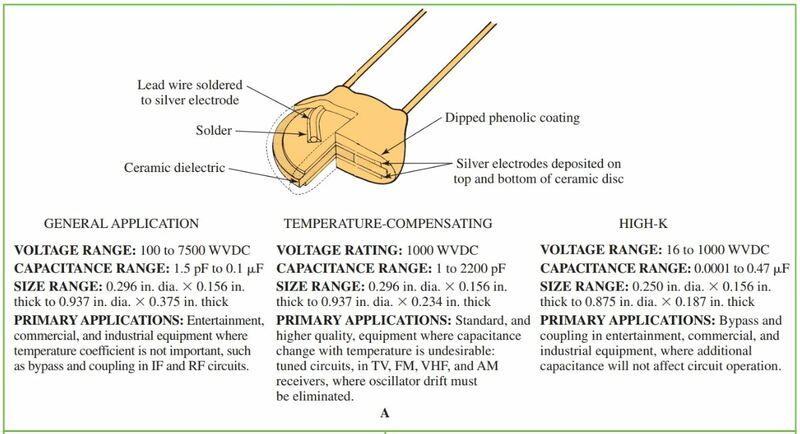 This chart shows several types of ceramic capacitors. 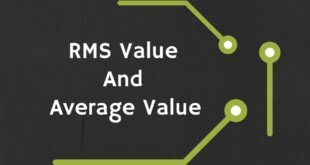 Also listed are their voltage ratings and common uses. Figure 6. 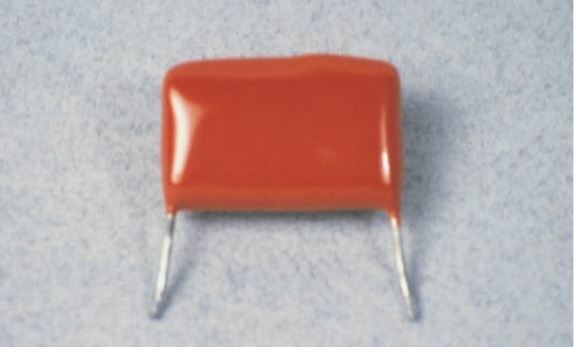 Typical ceramic capacitor. Variable capacitors consist of metal plates that join together as the shaft turns, Figure 7. The stationary plate is called the stator. The rotating plate is called the rotor. Figure 7. Typical variable capacitor consisting of a stator and rotor. When we adjust or turn the dial on a radio, we are actually adjusting a variable capacitor inside the radio. By changing the amount of capacitance inside the radio circuit, we are changing the radio frequency. This capacitor is at maximum capacity when the plates are fully meshed. The schematic symbol for a variable capacitor is shown in Figure 8. Figure 8. Schematic symbol for a variable capacitor. A trimmer capacitor, Figure 9, is a type of variable capacitor. The adjustable screw compresses the plates and increases capacitance. Mica is used as a dielectric. Figure 9. 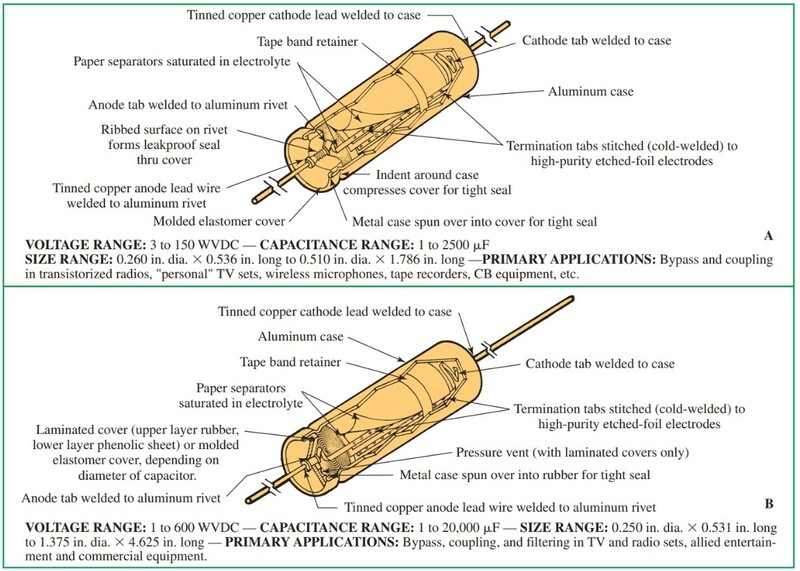 Types of trimmer capacitors. 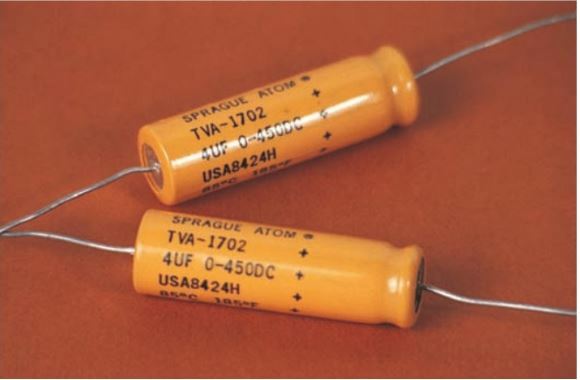 Trimmer capacitors are used where fine adjustments of capacitance are needed. They are used with larger capacitors and are connected in parallel with them. To adjust trimmer capacitors, turn the screw with a special fiber or plastic screwdriver called an alignment tool. A regular screwdriver should not be used for this purpose as the capacitance effect will cause an inaccurate adjustment. 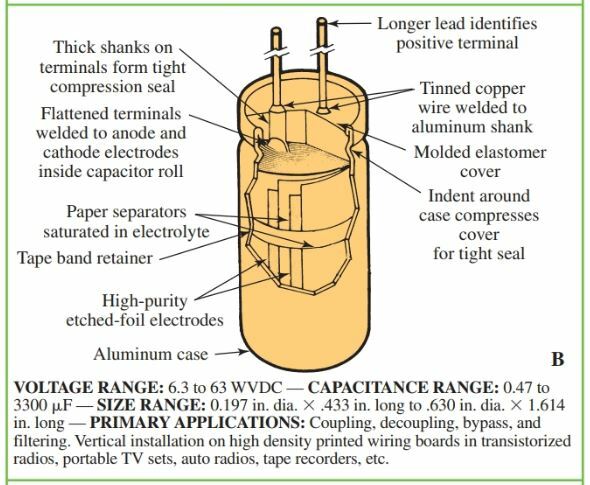 Tantalum capacitors are similar to aluminum electrolytic capacitors, Figure 10. However, tantalum capacitors use tantalum, not aluminum, for the electrode. 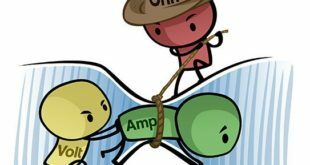 Tantalum capacitors have three distinct advantages that make them quite useful. Tantalum capacitors have a larger capacitance over a smaller area, which makes them ideal for smaller circuits. Tantalum capacitors have a long shelf life. Tantalum resists most acids, consequently tantalum capacitors have less leakage current. Figure 10. 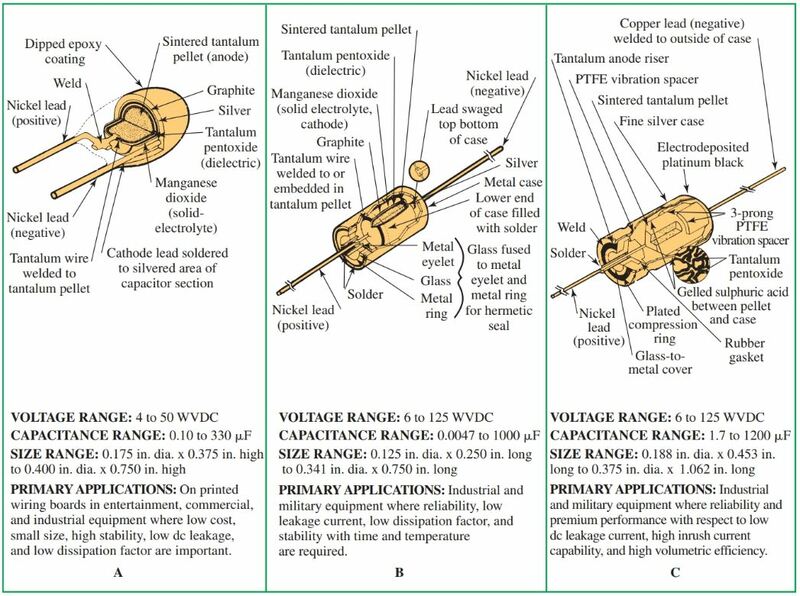 This chart shows three types of tantalum capacitors. Voltage ratings and common uses are also listed.